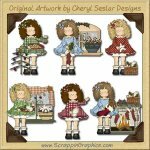 This collection of adorable and whimsical graphics is EXCLUSIVE to Scrappin' Graphics. Perfect for all your little Easter project needs. 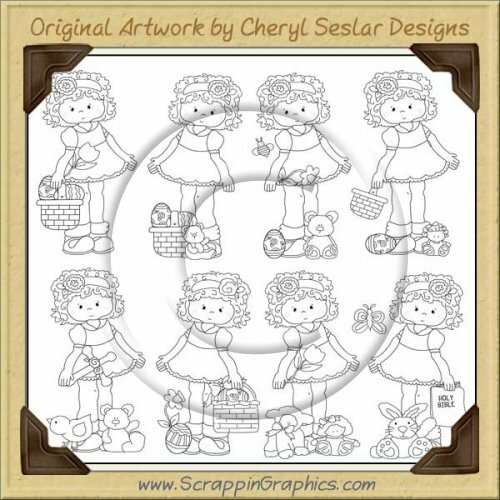 This sheet includes 8 graphics of little Veronica celebrating Easter. 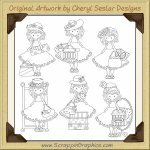 These Line Art/ Digital Stamps/Pattern/Outlines come in one sheet, where they can be separated to create digital stamps or colored and use to create you own clip art. 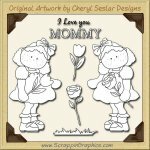 Use these in scrapbook pages, card making, digitized embroidery patterns, coloring pages, printable crafts and much more. They cannot be used to create clip art sets. They need to be be made into something else.